Join the CSM community online. Through CSM's social media hub, you have the opportunity to link with CSM on multiple platforms. Connect directly to the college on Twitter, Facebook, Instagram, YouTube, LinkedIn, and Snapchat. By joining this community, you can provide feedback, receive exclusive discounts, win prizes, and stay up-to-date with the latest news at CSM. The official news source for the latest information from the College of Southern Maryland, with campuses in Calvert, Charles & St. Mary's counties. Official College of Southern Maryland Twitter for the CSM Hawks. For info on athletics, events, student life, engaged learning, feedback, and more! All about the arts and cultural events at the College of Southern Maryland! Opportunities for students, employees, and community! 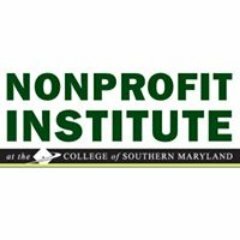 Helping Southern Maryland's nonprofit organizations build a brighter future. ISTEM is a one-of-a-kind resource for Southern Maryland to engage, challenge and educate students, technologists, engineers and mathematicians.